Equity Crowdfunding Directory—USA: Equity-based crowdfunding allows people to invest in an early-stage, private company (a company that is not listed on any stock exchange) in exchange for equity (shares, or a percentage of ownership) in that company, though with restrictions. The so-called Title III allows issuers to raise funds online from ordinary people for investment purposes, not just accredited investors (the rich). The Venture Founders Equity Crowdfunding Directory—USA is growing and I’d be pleased to hear if I have not listed a platform you know about. Equally I’m open to other suggestions for improving the Directory. Crowdfunding is no easy route to equity raising. You should really learn about the process and the regulations, before trying to jump in. Wefunder has a place on its site where you can ask questions. 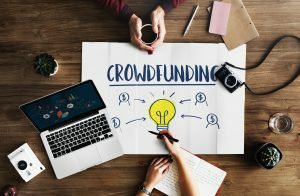 Many other platforms have very helpful guidance, Crowdfunder has a good guide to equity crowdfunding. I would still suggest that you do your own research. Take a look at the Securities and Exchange Commission compliance guide on what is technically called ‘regulation crowdfunding’. The guide is for the platforms, but it will help you understand the process, despite the legalese. An interesting development is that 30 States (as of January 2018) have adopted crowdfunding provisions in their rules or statutes recognizing that equity crowdfunding, done responsibly, with appropriate disclosure and safeguards, is another valuable tool that small companies can use to raise capital. This level is generally referred to as Intrastate Equity Crowdfunding). Eight more States have legislation pending or under disccussion. Take a look at this Crowdfunded Insider article, and you can see examples listed below. You might find the book, Equity Crowdfunding: The Complete Guide For Startups And Growing Companies, by Nathan Rose a helpful and not very expensive investment, the paperback is just $15. wefunder: provides the opportunity to invest as little as $100 in startups: they are a Public Benefit Corporation. Take a look at this post on Sources of Startup Finance for obvious & not-so-obvious ways to fund the startup, or the one on Bootstrap Finance for some others ways to go to fund the startup. Loans From Family and Friends is another way to go.